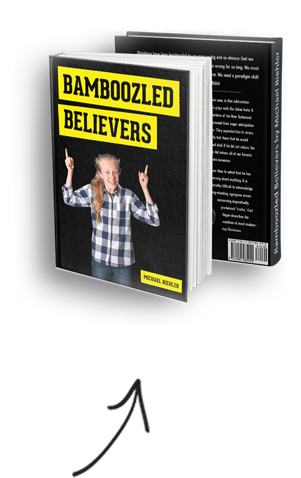 If you are interested in first two parts of this series you can access them here: Bamboozled Believers’ Big Bible Blunders [Part 1of 5], Our “Last Days” Blunder [Part 2 of 5]. In Isaiah 51:16. There we read that when God gave Israel his word (the Law) and covered them with the shadow of is hand (protected them) he created “heaven and earth.” He didn’t create planet earth by giving the children of Israel his word… he created the Old Covenant religious system. The Song of Moses is addressed to the “assembly of Israel.” In it God says: “Give ear O heavens, and I will speak; and hear O earth the words of my mouth” (Deut. 31:30 and 32:1). In Isaiah chapter 1, God says: “Hear O heavens, give ear O earth!” He was not speaking to the sky or planet earth. He was speaking to Old Covenant Israel… He was using a metaphor. As Jesus predicted the destruction of the temple, he said: “Heaven and earth will pass away; but my words will not pass away” (Matt. 24:35). In that passage, Jesus was predicting the end of the age (not the world) and the Old Covenant age did come to an end before that generation passed away, exactly as predicted. Jesus was using a metaphor as he predicted end of the Old Covenant. It was “growing old” when Heb. 8:13 was written and it “vanished away” in AD 70. Dear pilgrim, you will not spend eternity playing golf on the renovated “new planet earth”… that is a delusion; a fantasy derived from a very feeble analysis of Scripture.